This piece is a reflection on a manifestation of urban poverty in Malawi and how it exacerbates the exploitation of women and children through the lived experiences of ‘incomplete house’ sitters in affluent neighbourhoods There is dearth of literature in Malawi that discusses house sitters as a group of urban residents who occupy a special niche in blossoming affluent neighbourhoods. I start by introducing house sitters, then describe the challenges they face, and end this contribution by describing how wives and children are exploited in house-sitting households. Due to rural-urban migration and the high urban fertility rate in Malawi, Lilongwe and Mzuzu are two cities experiencing rapid population growth. As a result, basic human resources such as housing, food, energy, potable water, and sanitation services are inaccessible to the majority of urban residents. To overcome the accommodation challenges, a rapidly growing number of families are opting for ‘incomplete house’ sitting arrangements. House sitting is a practice that is gaining in popularity in many cities in developed countries with symbiotic benefits for home owners and sitters. Home owners leave their houses in the care of house sitters while they are temporarily away. House sitters are mostly individuals and couples who cannot afford to own or rent a house but have access to temporary shelter that they take care of. 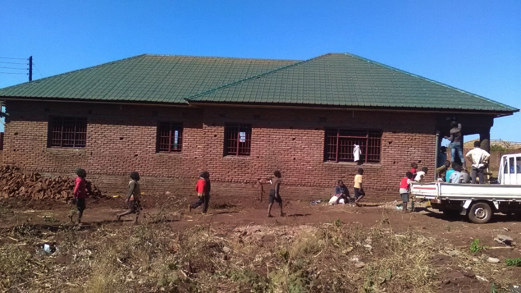 In Malawi, by contrast, incomplete house sitting is becoming increasingly common. This entails an agreement between the owner of a house under construction and a tenant, whereby the house sitter guards the structure and all construction materials in return for a room either within the building or another temporary structure on the plot that may be used as storage facility. The pre-condition for being accepted as an ‘incomplete house’ sitters is that they are a married couple so that they can take turns to look after the structure. I conducted in-depth interviews with 22 house sitters (14 men and 14 women), who discussed at length some of the challenges that they face. All stated that one of the main challenges is regular exposure to extreme weather conditions such as rain and cold temperatures. The rains in Malawi usually start in November and continue through to March. During this period most areas of the country receive heavy rainfall. Incomplete leaking houses lead to discomfort for the occupants who get wet, especially during the night. Cold temperatures during the winter months from May to July were also cited as another harsh condition they endure. Some move from one incomplete house to another, but they always occupy houses without beam filling and with unsecured windows. They attribute the high prevalence of malaria and pneumonia amongst the children of house sitters to poor housing conditions that expose them to mosquitoes and cold temperatures. Uncertainty about where to live for the next two to three months and what to eat the next day are psychologically traumatic experiences that house sitters encounter in their life trajectories. The majority of the house sitters do not have a permanent or reliable source of income as they do not have any vocational skills. The main work that they do is manual labour such as unskilled builders, well diggers, and guards. When they get an opportunity to do piece work, they receive only 1,500 Malawi Kwacha (approximately USD1.9) per day. Unfortunately, many house sitters do not even have chance to access these jobs because their availability fluctuates according to the seasons, the political climate, and work demand. In my study, I used the Household Dietary Diversify scale (HDDS) and in-depth interviews to examine food access and dietary quality among house sitters in Lilongwe. The majority (51) of the 67 sampled house sitters had an extremely low HDDS of 2 or 3. The most common food dish was nsima (a food made from cereals) and vegetables. Around half consume a combination of nsima, vegetables, and fish. Fruits, meat, milk, and cooking oils are rarely consumed by house sisters. The inaccessibility of these food products has profound negative effects on child development as they do not ingest adequate proteins for proper body growth. Women in the households that had an HDDS of 4 or more were actively involved in petty trade or in various kinds of manual work such as washing clothes, assisting at maize mills or drawing water for wealthy people in their neighbourhoods. Male respondents claimed that women are becoming the breadwinners amongst house sitters and that this transition is challenging the dominant culture of masculinity. Men are frustrated as they cannot fend for their families and reportedly resort to alcoholism and extra-marital affairs. As a result, there is constant intimate partner violence against women in the form of physical, economic, emotional and sexual abuse. During my stay in these areas, I accompanied community policing members to settle disputes in two families where wives were physically assaulted by their husbands. Girls as young as nine are conspicuously exploited in house sitter families. Because fathers and mothers spend most of their time searching for manual work, girl children adopt the responsibilities of the mother. They do all of the domestic work including cooking, washing, and bathing their siblings. The involvement of young children in manual work that is beyond their capacity infringes on their right to a safe environment, to play, and to education. House sitters are trapped in a vicious cycle of urban poverty as they depend on the availability of uncomfortable, incomplete houses to survive. In the process, women and children are exploited as men do not support their families. Incomplete house sitters are vulnerable people that hardly catch the attention of policy makers and researchers. Consequently, their predicament has yet to be given space in public and academic debates.